The Mondrian Bow Dress in bright yellow is a perfect event dressing style, a classic silhouette reinvented with modern detailing. Zoe M. Reviewed by Zoe M.
Hired for my brothers wedding - Beautiful dress, gorgeous material & a great fit. I’ve never received so many compliments on a dress! This was my first hiring experience and everything from the tips emailed before the arrival of the dress, to the high standard of packaging was beyond expected. 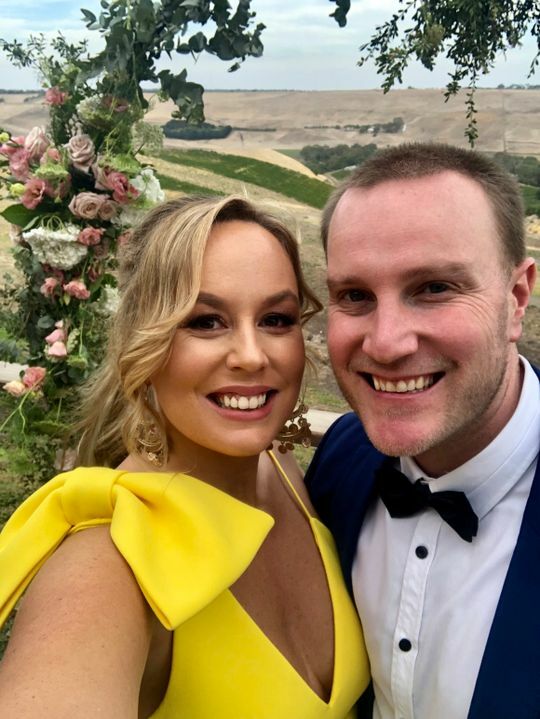 It was not only a breeze to hire an outfit but the dress was absolutely stunning! The pictures really show a true indication of the colour and style of the dress and it looks even better in person. After flying in from overseas on the morning of the event, I had not had time to try the dress for size, however when I zipped it up, it fitted perfectly. It was extremely comfortable and I loved wearing this beautiful dress that hugged in all the right places. 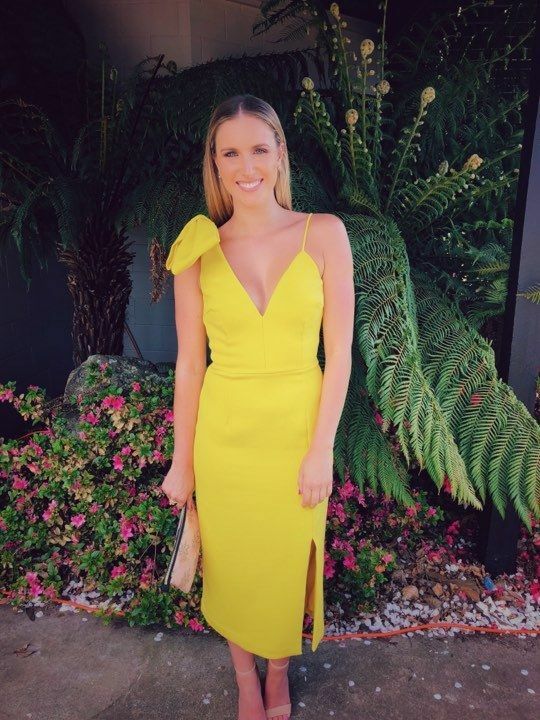 Highly recommend Her Wardrobe and this Rebecca Vallance if your a lover of yellow! Kendall G. Reviewed by Kendall G.
This dress was the perfect fit. Described perfectly & as always, beautiful postage and so fast! Amelia J. Reviewed by Amelia J. Fantastic dresses and really easy to understand the process. Thanks!